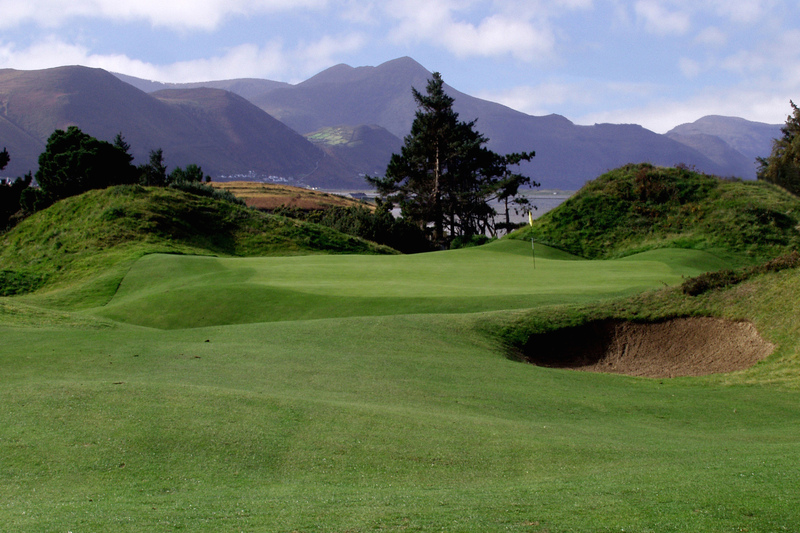 It was just an innocent e-mail announcing that the Dooks Club, which calls itself, “the best-kept secret in Irish golf,” is planning special activities to commemorate its 125th anniversary. But it opened a flood of memories—and the sideways downpour that drenched us when I played there a decade ago is just one part of that. It was my first and only trip to Ireland—just me and a college buddy tooling around southwest Ireland in a mini-Cooper-sized Renault. On the advice of James W. Finegan’s wonderful Irish golf guide, I had included the Dooks Club along with more celebrated courses such as Ballybunion, Lahinch and Old Head. And the Dooks Club, on the Ring of Kerry and an easy drive from our highly recommended Killarney base camp—did not disappoint. The Dooks was a bit scruffier than some courses we played. But even in 2003, there were plans to smooth out the rough edges and the revamped layout opened in 2006. I was fine with the course either way, because it had some delightfully quirky holes, including a green that sat atop a straight-up mound. It also sat next to Dingle Bay. 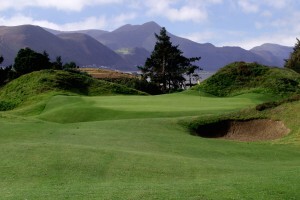 Judging by the photos at dooks.com, there are splendid views as well as excellent links terrain. No. 1 at the Dooks Club, on the craggy Ring of Kerry next to Dingle Bay. We didn’t see much of that because our day began with overcast and light drizzle, and finished with the previously-mentioned sideways rain. As we were hastily putting away our clubs in the car park, I distinctly remember two foursomes of Germans bundling up to play an afternoon round. I remember thinking, “Good luck with that,’’ as we repaired to the clubhouse for pints and chowder. 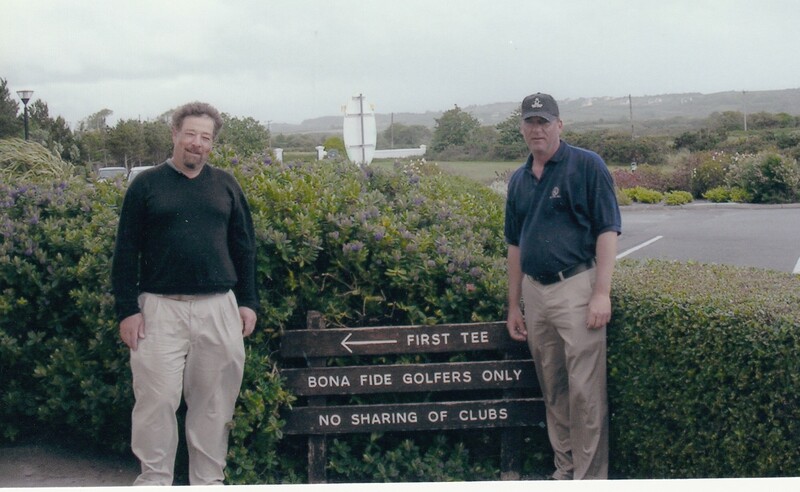 If my friend Bob “the Hootman” Bayer and I found out whether the “bonafide golfers” sign was serious or tongue-in-cheek, I don’t recall. I do know that if the club’s captains had seen us arguing over whether a missed gimme was a gimme or a miss on the back nine, they might have questioned whether we were bonafide golfers. It was an uphill par-four into a monsoon—and even that short putt was a challenged for drenched and frayed nerves. It was for a 9—to tie the hole. When we realized what we were doing, we laughed heartily and called off the match. No complaints about the heavy weather. That’s all part of the Irish/Scottish experience. But if I’m fortunate enough to return to the 125-year-old new-and-improved Dooks Club, I won’t complain if the sun is out. The views look so inspiring on the internet, it would be nice to see them in the flesh.